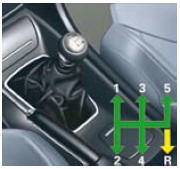 Do not select reverse gear until the vehicle is completely stationary. 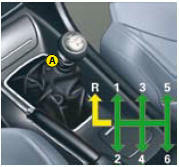 Depress the clutch pedal and wait a few moments before gently engaging reverse gear. Lift the collar A to engage reverse gear.